Learn how to select, peel, chop, preserve, and incorporate the fresh fruit from your local farmers market into your culinary repertoire for both sweet and savory dishes. *This unusually long total course time is due to the time necessary for preservation and infusion techniques, as required by some recipes. As the summer rolls in, fresh fruit is becoming ever more abundant at the farmers market. Utilizing it at peak freshness can not only maximize flavor, but help to get the most nutritional value out of the fruit. Knowing how to select, peel, chop, preserve, and incorporate fruit into your repertoire for both sweet and savory dishes will seriously advance your culinary chops, while helping to deepen your understanding of the diverse produce available from your local farmer. Seasonality is key when considering what fruit to use and how to use it. Selecting fruit that is in season and locally grown will ensure the best flavor from the produce, which is really half the battle when it comes to being a great cook. While this course mostly focuses on summer fruits and does highlight imported varieties, it also incorporates citrus, generally in season during the winter months, and pomegranates, which tend to be in season in mid fall. Use this course as a starting point to understanding the vast possibilities of nature’s greatest gift. Talk to your local farmers, ask questions, and get creative. From savory salads to sweet desserts, preserved jams and infused liquors, fruit is wildly diverse and can be incorporated into any meal. Chef Bruce Kalman is the head chef at Union in Old Town Pasadena. Driven by a “hands on” philosophy towards cooking, Chef Bruce can be found hand-rolling pastas, making his own butter, packaging pickles, and butchering his own meat. 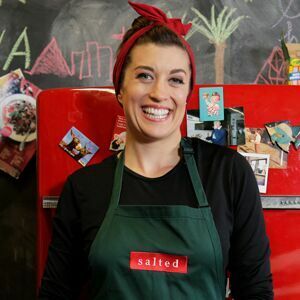 Chef Kelly Boyer is the founder and executive chef of Paleta, the wildly popular farm-to-table meal delivery service committed to providing locally sourced and humanely raised ingredients. Thriving since its inception, Paleta now makes and distributes cold-pressed juices, cleanses, and snacks. Chef Kelly is a graduate of Le Cordon Bleu and received a Master’s degree from Northwestern’s Kellogg School of Management. Bryon Freeze burst into the culinary spotlight when he won "Chef Wanted," a chef competition show on the Food Network. Freeze's interest in a culinary career began at age 15 when he worked in fast food and felt the excitement of a service rush. 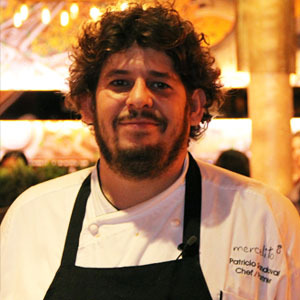 After heading up the Manhattan Beach kitchens of Mexican eatery Mucho Ultimo and Circa, he moved on to Santa Monica's acclaimed Tar & Roses, where he was most recently Chef de Cuisine. Luke Reyes is is currently the chef and co-owner of a soon-to-be-opened Japanese-American fusion restaurant, Oh Man! Ramen. 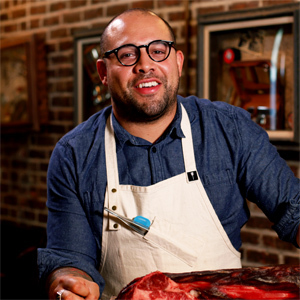 He is also the former executive chef at Butchers & Barbers in Hollywood, and in 2013, was a victorious contestant on Food Network’s “Chopped”. 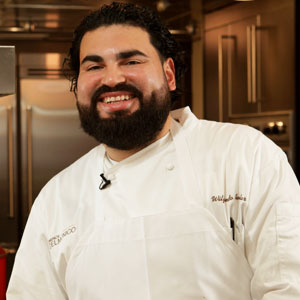 Chef Wilfredo Avelar is the sous chef at Emeril's Delmonicos in New Orleans where he brings bold tastes and revived tradition to the residents of New Orleans through expertly crafted Cajun and Creole meals. 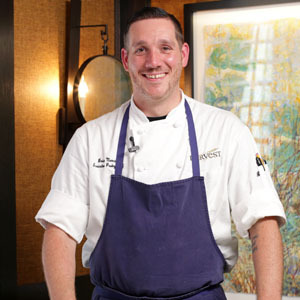 Tyler Kinnett is the executive chef of Harvest in Boston, where he showcases regional ingredients and produce-centric cuisine though fresh and sophisticated dishes. He has been featured in Boston Magazine and Zagat. 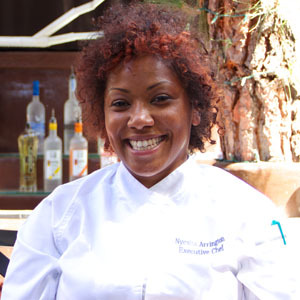 Chef Nyesha Arrington is a young, classically trained chef whose accomplishments have already vaulted her into star status. She was most recently Executive Chef at Santa Monica’s fine-dining restaurant Wilshire. 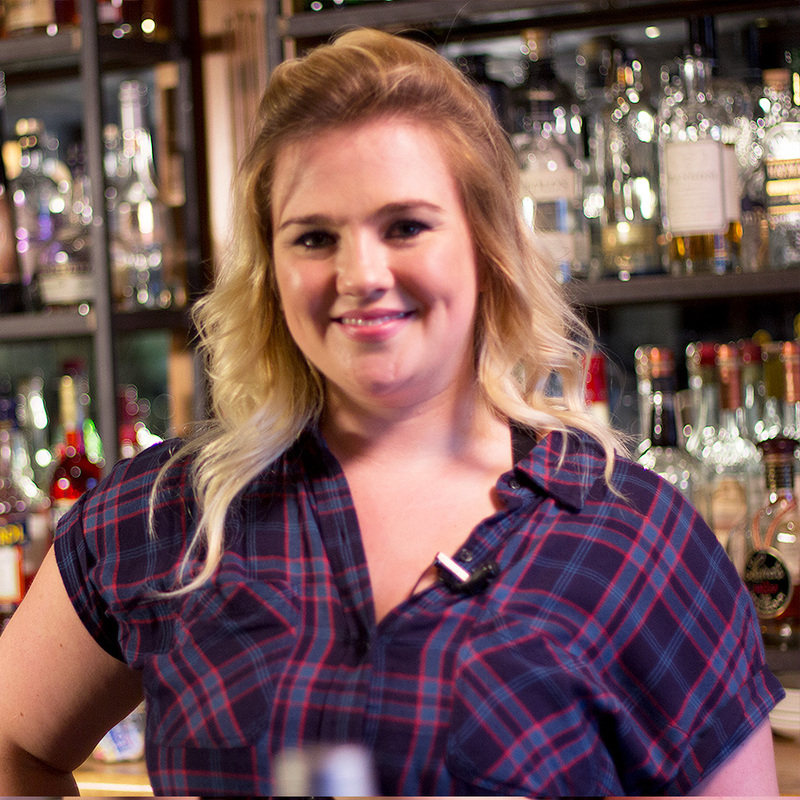 She appeared on season nine of Bravo’s hit reality show “Top Chef” and on the Esquire Network’s chef competition show “Knife Fight.” She was twice named to Zagat’s “30 Under 30” list of rising chefs. Arrington has trained under award-winning chef Josiah Citrin at his two Michelin-starred restaurant Mélisse in Santa Monica and under French culinary legend Joël Robuchon at his award-winning Las Vegas restaurants, L’Atelier and The Mansion. 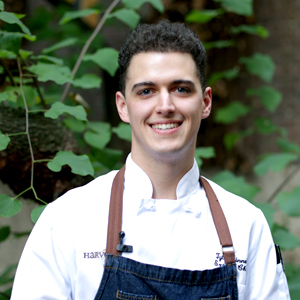 Brian Mercury is the pastry chef at acclaimed Boston restaurant, Harvest. Chef Brian’s style is contemporary and refined, highlighting local, seasonal, and sustainable ingredients. His goal is to make desserts that employ modern techniques and unusual flavor combinations. Brian Mercury was recently named "The People's Best New Pastry Chef (East)" by Food & Wine Magazine. Susana Querejazu is the pastry chef at the James Beard nominated Odd Duck restaurant in Austin, Texas. 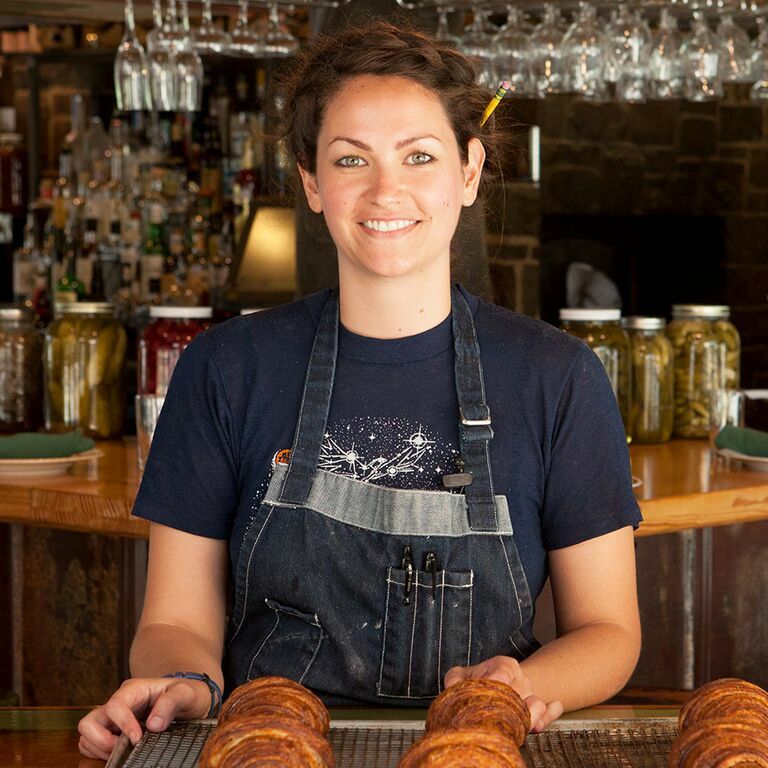 Her talent and passion for pastry were recently recognized by Zagat, where she was featured on their Austin’s 30 under 30 list. 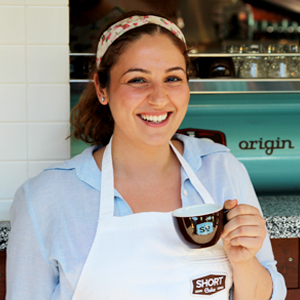 Chef Hourie Sahakian quickly made a name for herself by becoming an Eater Young Gun in 2013, as well as one of ZAGAT’s “30 Under 30.” She recently moved on from Short Cake Bakery where she got her start, to join La Brea Bakery as their Culinary Innovations Manager. 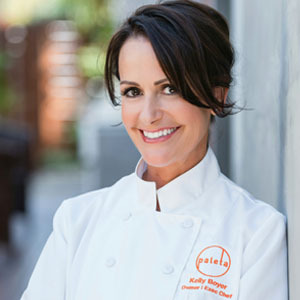 Pace Webb is the executive chef at her own boutique, Los Angeles-based catering company, Taste of Pace, and is also a leading lifestyle expert. Her motto is “Cook them tasty food,” and Pace does just that with a focus on farmers’ market-fresh produce and creative use of ethically sourced proteins. 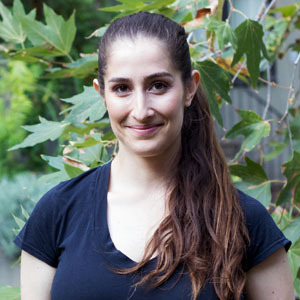 Pace studied in Rome and was classically trained in Western European Cuisine, and her food is a reflection of her personality and heartfelt commitment to innovative, healthy cooking. 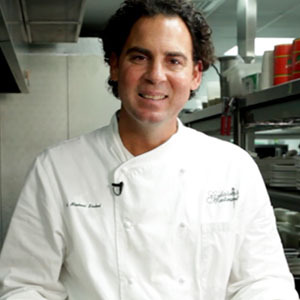 Michael Sichel is the executive chef of Galatoire’s Restaurant, one of the largest, most well-known, and frequented fine dining restaurants in New Orleans, as well as their bar and steakhouse affiliate, Galatoire’s 33 Bar & Steak.